FROM THE PRINCIPAL: Welcome back everyone! I hope you enjoyed a wonderful, restful March Break and some quality family time to re-energize. I want to welcome back Ali Hopper who is returning to us from being on maternity leave. We are so happy to have her back in a role offering ELA and Math support to the Grade 6 groups. Ski Club will be extended through the week of March 12-16th- conditions are still great at Vorlage! The staff would like to thank all the parents who helped make Staff Appreciation Week so special with amazing treats, a delicious lunch and many kind words. We appreciated all your kind gestures. As the weather changes through to Spring, we ask that you check the weather and send your child to school dressed for whatever the weather. Unless it is absolutely pouring, we will be outside so rain gear, rubber boots and extra clothes would be great. And finally our portable computer lab is up and running! We have 22 new laptops in two carts that are available for classes to sign out and use for class projects and work. 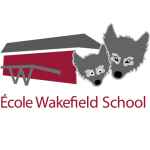 This was funded by last year’s Walk-a-thon, congratulations Wakefield School! VISIT FROM HADLEY On March14th Ms. Payne, the Principal from Hadley, will visit the Grade 6 classes to talk about school life at Hadley. DRUG AWARENESS On March 14th drug awareness counsellor, Kelly Connolly, comes to visit the Grade 6 classes to give a presentation on making healthy choices. BINGO There will be a Family Bingo fundraiser for the Grade 6 grad class activities on Friday, March 16th at 6:30pm in the gym. OPEN HOUSE St Michael’s Open House for Grade 6 students and parents takes place on March 19th at 6:30pm. PARALYMPICS WINTER CARNIVAL Our Paralympics winter carnival takes place on March 21st.There will be a presentation and activities for students in the morning to celebrate the Paralympics, raise awareness and promote diversity. Our next GB meeting takes place on March 21st from 5-7pm in the library. HADLEY OPEN HOUSE The Hadley Open House for Grade 6 students and parents takes place on March 22nd. The next WEHSA Home and School meeting takes place on March 28th at 7pm in the library. CURLING On March 28th and 29th, the group “Rocks & Rings” is coming to work with all classes to teach the basics of curling. SPIRIT DAY March 29th is a Spirit day- wear your beach gear! There will be an assembly in the afternoon. EASTER March 30th & April 2nd the school and daycare are closed for the Easter holiday.